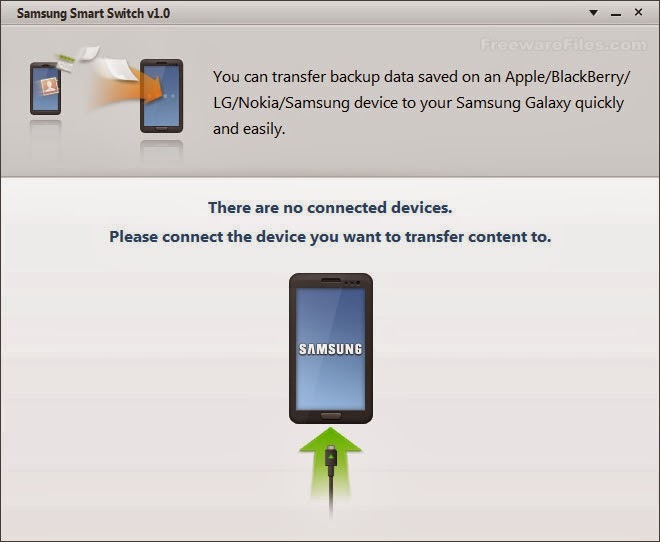 Samsung Smart Switch is a handy program that facilitates the transfer of all data from other smart phones to Samsung mobile devices. The intuitive interface is simple to use and makes transferring your contacts, media, personal data, and apps hassle-free. Samsung Smart Switch also features a Smart App Matching and Recommendation function that allows you to quickly find the apps you are looking for without dredging through the hundreds of thousands of apps available on Google Play. Samsung Smart Switch is the safe and simple solution for switching to a Samsumg mobile device. The program does not require installation. Simply download and run the executable.